Giving you the sounds, the vibe and the TonePrints technology of the TC Electronic Flashback Delay but featuring 12 delay types, 4 TonePrint slots, three user-presets and more. 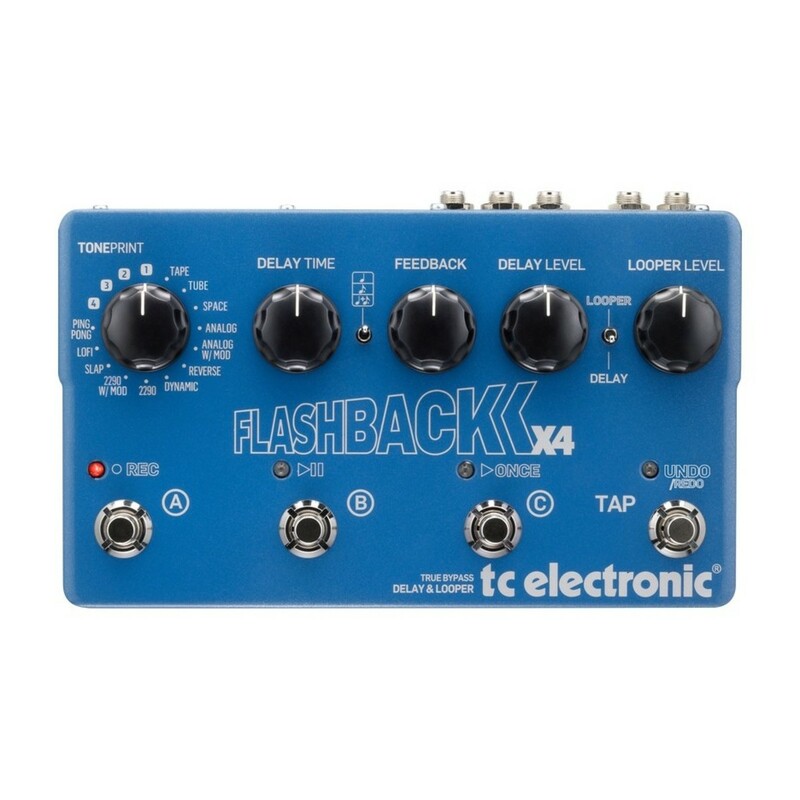 By listening to the suggestions of loyal Flashback Delay users, TC Electronic have made further improvements such as the tap tempo and easy-to-use looper, whilst still staying true to tone. The optimised headroom guarantees optimal tone integrity, whilst the TonePrints and presets let you unleash your creativity. 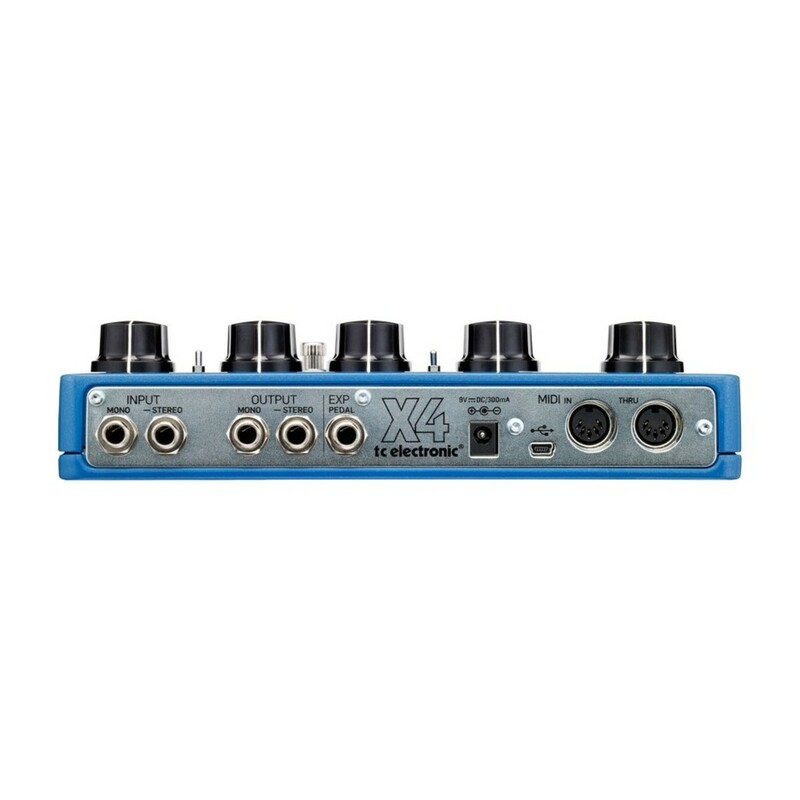 The Flashback X4 has independent delay and loop engines delivering every delay sound you'll ever need, combined with a 40-second looper with undo function. All of this is contained within a rugged and bright chassis that will stand out on your pedal board. The switches are easy to negotiate which makes tailoring your sound intuitive, minimising the hassle and maximising your sounds. For more information about the Flashback X4's effects, please download the manual PDF from the link below. 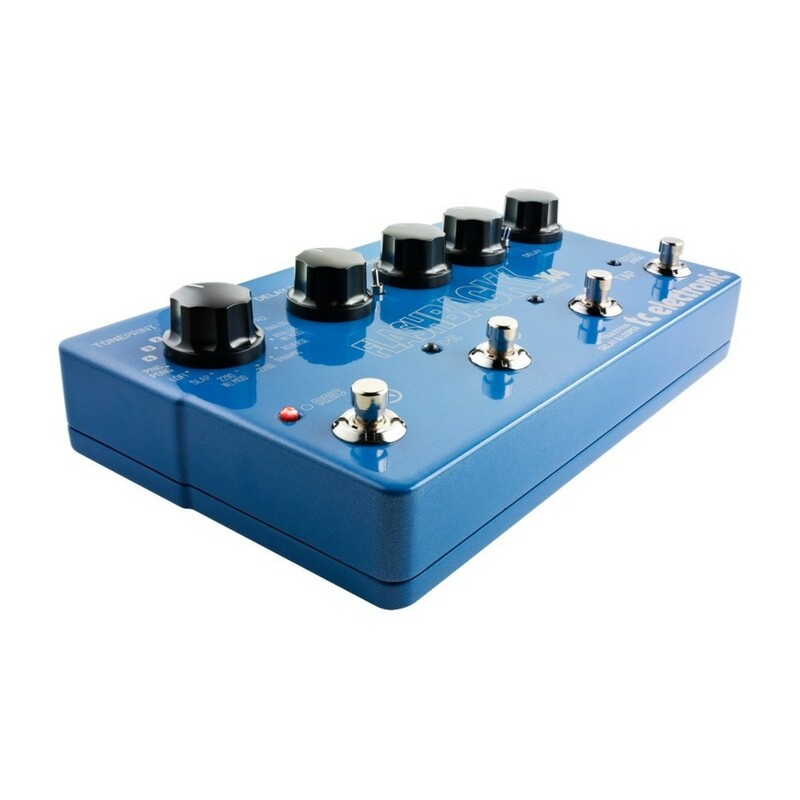 Controls: TonePrint, Delay Time, Feedback, Delay Level, Looper Level dials. Preset footswitches, Undo footswitch, Looper/Delay switch, Tap switch, Undo/Redo switch.